this is a WILD COWBOY exclusive. * BLACK Top grain 4 to 5 oz. 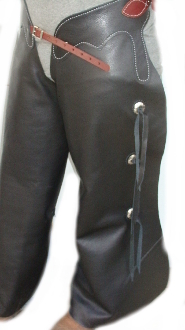 chap leather.